Rachel Ash is a luxury wedding dress shop boasting exciting bridal collections from the very best in British and International bridal couture. Nestled in the heart of the historic town of Atherstone, North Warwickshire, we are only a short drive from neighbouring Rugby. 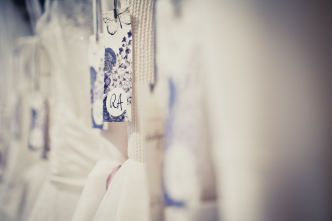 We operate on an appointment basis so each bride has our undivided attention and benefits from exclusive use of our beautiful private dressing room. Contact us today on, 01827 713515 or drop us a line at, info@rachelash.co.uk to reserve your appointment.